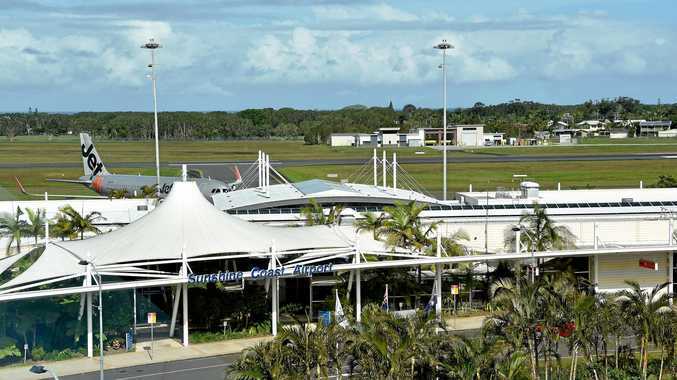 AFTER getting drunk and going for a bike ride with his dog, a man subjected two Sunshine Coast Airport workers to a bizarre tirade which left one fearing for is life. Joel Ryan Archer appeared in Maroochydore Magistrates Court today on two counts of public nuisance for the verbal attacks committed on July 30 and September 18. The court heard in the first instance, Archer approached a staff member in the airport carpark and told them, "the noise is scaring my dog". He then pointed to a car and asked if it belong to the person "making the noise" before threatening, "I'll knock him off and put him in the creek". Two months later, Archer went up to an airfield manager who was completing a fence inspection, threatened him and yelled, "you c---s are killing birds". The man told police the incident made him fear for his life. Duty lawyer Andrew Bernville-Clay told the court Archer claimed the airfield manager was "using a grenade launcher to kill birds" which caused a bit of metal to hit him. Mr Bernville-Clay added Archer was "very drunk" and had "Dutch courage" at the time. Archer told the court he lived near the airport and would drink on his days off before taking his dog along for a bike ride. Magistrate Maxine Baldwin warned Archer that he risked losing his drivers licence for riding a bike drunk to which he replied, "I didn't know you couldn't drink and ride a bike". "If you're going to drink, stay at home," Ms Baldwin said. Archer was fined $700 with no convictions recorded.